I LOVE this engagement session! Annie & Andy were so much fun to hang out with. Truth be told, when they first contacted me about shooting their wedding they told me right away that they “were a fun pair”. And I can testify, that they are indeed the most fun! We had a blast shooting at Brown’s Brewing Company in Troy. 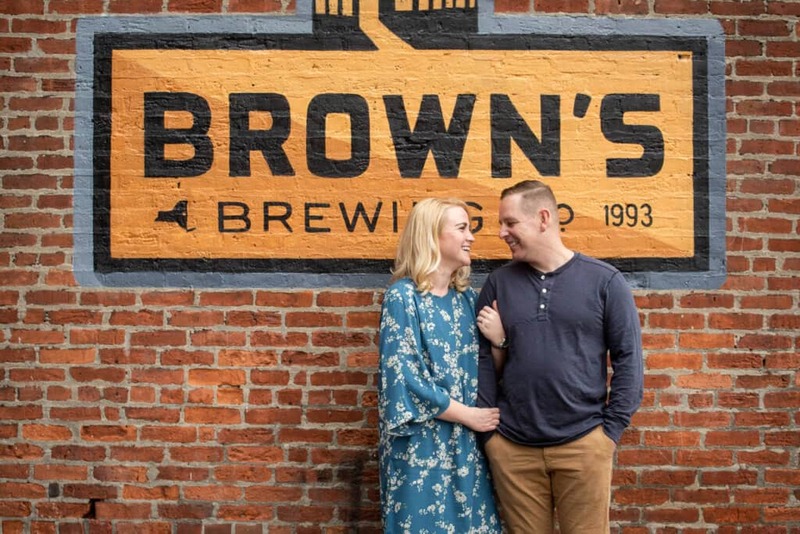 Annie & Andy are both bartenders, so it made perfect sense to do their engagement session at a bar. We even got to sneak next door to Revolution Hall and shoot some awesome stuff upstairs in the balcony. Check out all of the photos below! Can’t wait for their 2019 Wedding at the Inn at Erlowest! And thank you so much to the staff at Brown’s!